Whether you crave contemporary styling, flexible living space, stunning views or just a low maintenance home, we offer all these things and more at Keble Court. 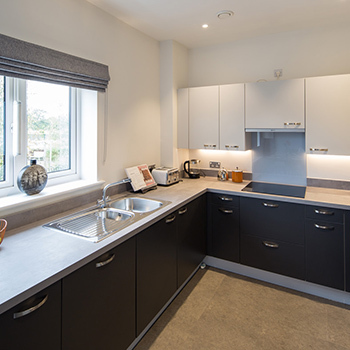 Keble Court offers meticulously designed one and two-bedroom apartments, each benefiting from their own unique features and views, but all sharing the same high standards of finish. Anti-slip porcelain floor tiles are used in all bathrooms and the two bedroom properties at Keble Court also benefit from a step free, easy access ensuite shower room, in addition to the main bathroom. 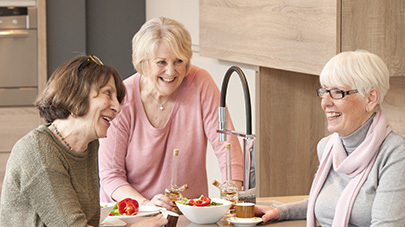 The carefully considered design features and high-quality fixtures and fittings found throughout each apartment at Keble Court are the direct result of Anchor’s 50+ years' experience helping older people to make the most of later life, and will ensure you feel proud of your contemporary new home. Always looking to the future, all properties at Keble Court are built to NHBC (National House Building Council) standards and upon completion are issued with a NHBC certificate and associated 10 year warranty. Safety and security are of paramount importance to us all. Keble Court has monitored fire and smoke alarm systems throughout the building and a network of security cameras cover the perimeter of the whole site. Each apartment features triple locking doors and windows as well as the Anchorcall emergency call system which is supported 24/7 by dedicated members of Anchor staff. The apartments at Keble Court are also highly energy efficient; the external walls and roof have been designed to high thermal efficiency standards, walls and ceilings are insulated to BREEAM standards and the properties benefit from an energy efficient ventilation system, low energy lighting and A-rated appliances in the kitchens. 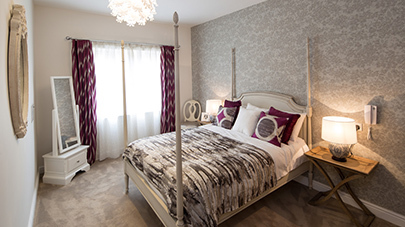 Keble Court offers more than just beautiful homes. 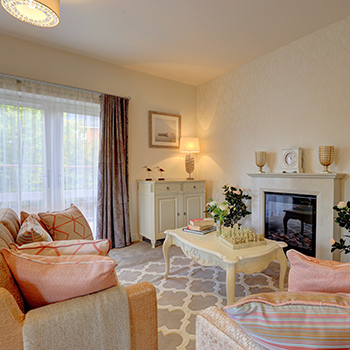 Living independently in the heart of a thriving community, at Keble Court you will be able to indulge yourself in the first-class facilities and stunning spaces surrounding your new home. 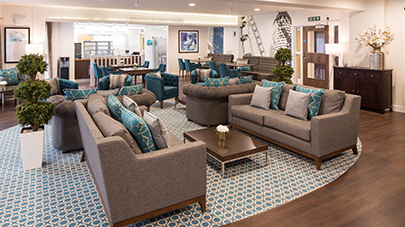 Keble Court offers 13 meticulously designed styles of retirement apartment in Hampshire, each benefiting from their own unique features and views, but all sharing the same high standards of finish, with comfortable access to the beautiful gardens, communal areas and facilities. 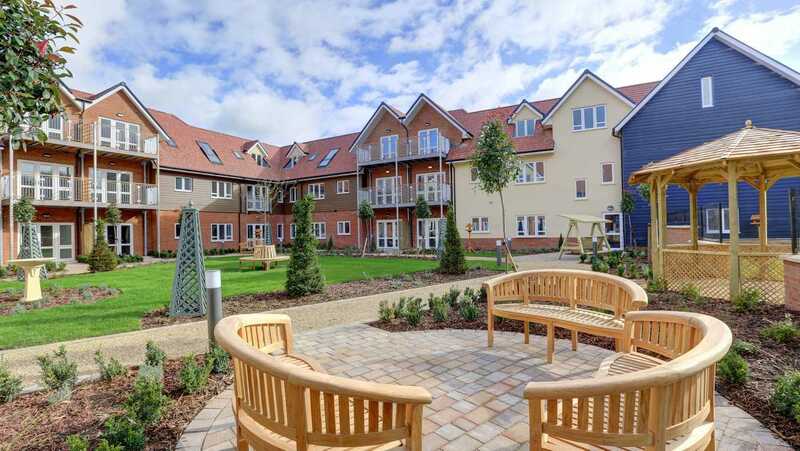 Keble Court is an independent living development and has its own dedicated care and support team based on-site called Anchor Homecare.